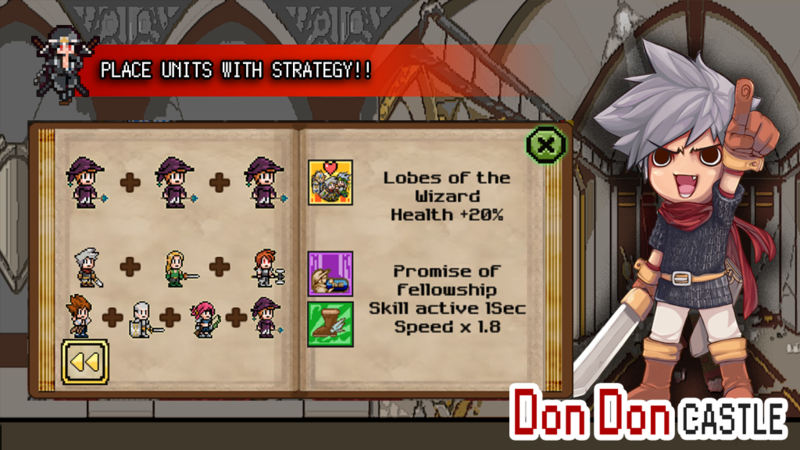 Hunt Down Monsters to Save Don Don Castle! Since I spend most of my traveling hours playing games, I usually opt for games of action or adventure that can be enjoyed offline. 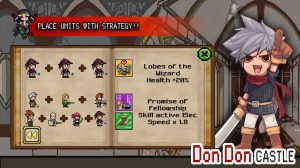 I recently found a game named Don Don Castle by Cosen, which is about a fortress that has been taken over by dangerous and vile monsters. Most of the warriors in the castle have lost their lives trying to save it, and now it’s your turn to help protect the castle. 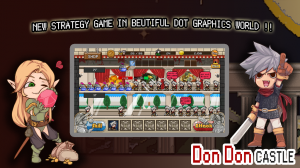 The game has simple and intuitive controls with dot graphics, making it exciting and easy to play. On opening the app you’ll find a bunch of warriors waiting in line to walk up to the monsters and throw them a fist. You‘ll have to pay close attention to your ‘striking’ and ‘skill’. The best thing to do is to use your thumbs to control the two buttons simultaneously. Every time you strike down a monster you’ll find your gold increasing. Use this gold to collect all seven heroes and to upgrade them, as well. The gold can also be used to buy more warriors. You might feel the adrenalin pumping when you see loads of monsters coming your way, but all you need to handle them is a bit of strategic planning. You could share your thoughts on the game with friends and family through Google+, mail, or WhatsApp, and also compete with friends on the leaderboard. To give you a boost, the app rewards you with achievement awards for every level you complete. Another feature of the app that makes it great is its infinite gameplay mechanism. On the downside, the buttons in the app looked more like images, and navigating around the app to find the leaderboard took me a while. I guess a ‘Help’ section would get the problem solved. I would also have definitely loved to brag about my scores on Facebook and Twitter, and that’s something that I miss. 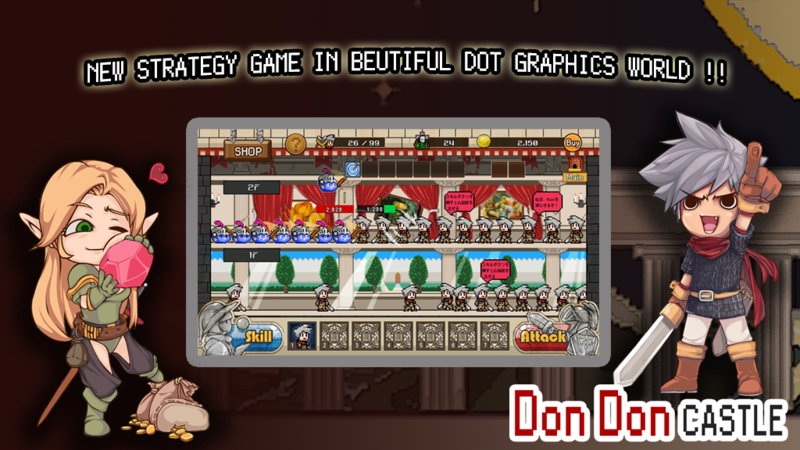 Don Don Castle is suitable for all age groups and will keep you entertained while you fight for survival.